The harvest season is upon us, and we celebrate with parties, gatherings, going to the pumpkin patch and enjoying the many seasonal fruits and vegetables that are finally ripe for our picking. And while the obvious and most immediate mode of celebration shows up on our tables, it’s equally as fun to celebrate with our skincare choices. Beyond the obvious and traditional pumpkin spice flavored everything, there’s another way you can celebrate the harvest season: our Pumpkin, Papaya and Pomegranate Butter. Lush, nourishing, unique and still festive, this is a fantastic product to add to your fall lineup. Probably one of the most unique aspects of this body butter is that it contains gentle yet effective papaya enzymes. While most body butters just aim to moisturize and hydrate, this one also delivers just the right amount of dead skin cell dissolving papaya enzymes so that your skin is softer, brighter, smoother and more able to absorb the other active ingredients featured in the formula. 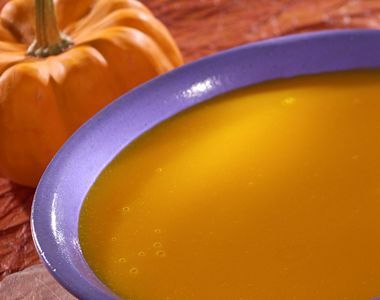 Pumpkin seed oil brings a less popular but oh so fantastic aspect of pumpkin into the mix: the lipids from the seeds. Instead of the orange flesh we used the deeply colored pumpkin seed oil to bring antioxidants and healing essential fatty acids to the formula so skin is soothed, smoothed and supported. This combines with pomegranate antioxidants for anti aging support, free radical neutralization and an all around fantastic body butter. Because it also contains private label skincare ingredients like raw Shea butter and Jojoba oil, the texture is thick and luscious but still provides a smooth and easy glide, making it perfect for massage, spa treatments and moisturizing on the go. Other plant oils like Macadamia and Kukui nut further round out and differentiate our Pumpkin, Papaya and Pomegranate butter so that it is both a nourishing body butter and a festive private label skincare product. As you move forward in this last part of the year, consider adding a product such as this to your private label lineup. It stands out, works great, feels great and it doesn’t fall flat in the holiday spirit department. Antioxidants, essential fatty acids, yummy texture and an almost universal appeal factor put it in a rightful league of its own. Add it to your seasonal (or permanent line), put small jars of it in stockings and party favor bags, and make sure to have your own on hand for all your moisturizing needs.